The television personality turned-rapper is being taken seriously as an artist following the release of her second single. Somizi tweeted an apology to Boity Thulo after he dismissed her as a “one-hit wonder” after the release of her first single, WuzDat. According to the A-list celeb and choreographer, the release of her next single, Bakae, has proven the television personality has what it takes to make it in the rap game. Thulo previously dabbled in music when she rapped with Nasty C at Club 808 last year. She then stole the show at the Migos Culture Tour in Johannesburg when she joined Nasty C on stage to debut a song the duo collaborated on. 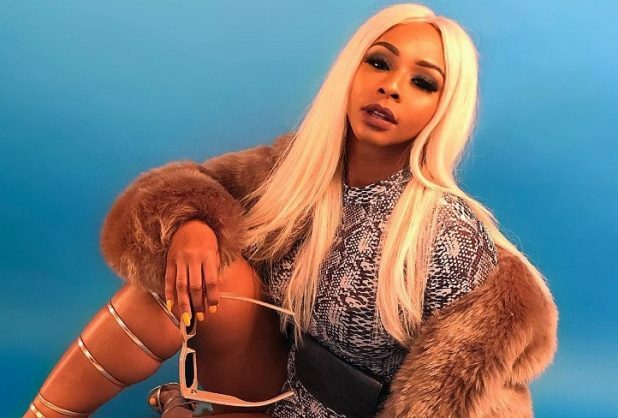 At the time, Boity said people should not expect her to spit any more bars soon, as she was taking her music aspirations slowly, reported Tshisa Live. It appears all that changed with the release of her first single, which appears to have marked the start of a serious music career. Her second, Bakae, has been met with a positive reaction on social media so far.